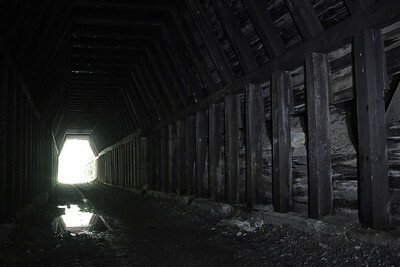 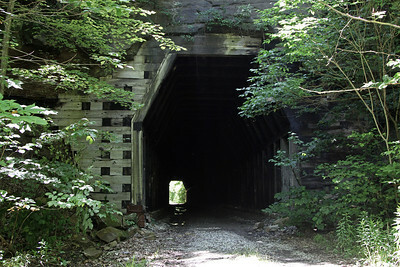 This 362-foot, timber-lined tunnel was built in 1855 by the Marietta & Cincinnati Railroad. 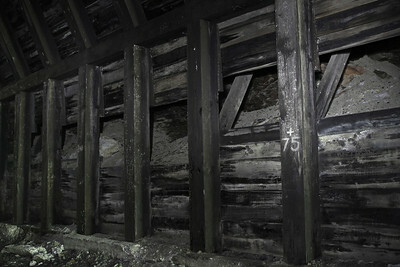 Absent several lost sections of lagging on each wall, the tunnel remains in excellent condition. 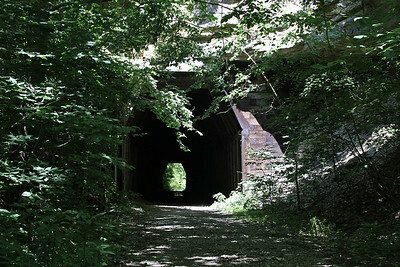 A history of the line is included with Moonville Tunnel, located just 2.5 miles west of King's Tunnel.